Dr. Martin Orimenko practices as a chiropractor in Ardmore, PA. His practice, Live Well Holistic Health Center, combines powerful chiropractic modalities in his holistic health visits to treat many types of conditions including neck and back pain, joint injuries, carpal tunnel syndrome, and digestive issues. Call his chiropractor office in Ardmore, PA today for an appointment to promote your health and well-being. 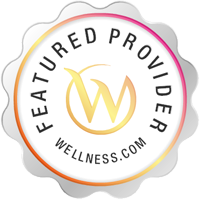 Dr. Martin Orimenko provides chiropractor services in Ardmore, PA at his practice, Live Well Holistic Health Center. He can help with a variety of health issues including allergies, headaches, fibromyalgia, immune system weakness, anxiety, depression, and many others. Dr. Martin Orimenko also is a nutritionist and can assist clients with weight issues, cholesterol problems, and blood sugar imbalances. In addition, Dr. Martin Orimenko can help children with health, ear infections, and ADD/ADHA. His chiropractor office in Ardmore, PA is available for appointments today.